Must Nonprofits Change Their Relationship with Bill Cosby? The spate of sexual assault accusations against 77-year-old comedian Bill Cosby has led to the cancellation of new Cosby television projects, one an NBC sitcom, the other a Netflix comedy special. Cosby has not been arrested or charged with any crimes; the incidents under recent discussion occurred some years ago, though one case was settled between Cosby and an accuser in 2006. Until the organization had its tax-exempt status revoked for failing to file its 990s three years in a row (though GuideStar reports that the IRS in September 2014 issued a new letter of tax exemption for the organization), Cosby was on the board of the National Slavery Museum, a project started by former Virginia governor Doug Wilder. As of its last publicly available 990, Hampton University in Hampton, Virginia— named the Historically Black College and University (HBCU) of the year in 2014—listed Cosby as a member of its board of trustees. Cosby is also on the board of trustees of Temple University, where he was an undergrad. In the wake of the recent charges, Temple has reaffirmed that Cosby is still on its board. In its annual report, Cosby was, as late as 2013, listed as a board member of the V Foundation, the cancer charity founded by former North Carolina State basketball coach Jim Valvano, who died of cancer, but Cosby does not appear to be a board member now. Cosby generated some controversy in education reform circles when he joined the board of Students First, the conservative political lobbying group founded by former Washington, D.C. schools chancellor Michelle Rhee. A musician himself, he is the honorary co-chairman of the board of the Thelonious Monk Institute of Jazz. 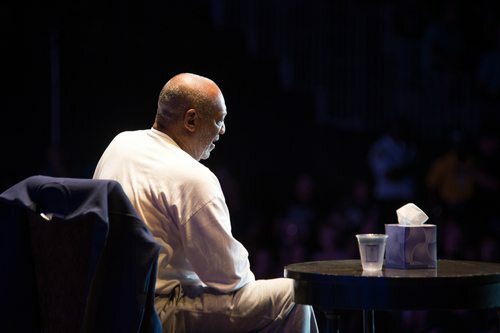 Although not on their boards, Cosby has been a featured host and fundraiser for nonprofits such as the Jazz Foundation of America, the Thurgood Marshall Fund, and the Boys and Girls Clubs of America (he is a B&GC alumnus). The charges against Cosby stretch back more than a decade, with the inciting incidents going back even farther, but a recent recorded routine by comedian Hannibal Buress caused the story to resurface and go viral, inspiring many of the original accusers to repeat their stories and formerly silent women, including former model Janice Dickinson, to bring new tales to the public eye. Cosby’s lawyer issued a blanket denial of these accusations, but later had to clarify that the denial referred to all except the one settled in 2006, which he described as “resolved to the mutual satisfaction” of both parties. Cosby himself has remained silent on the issue.